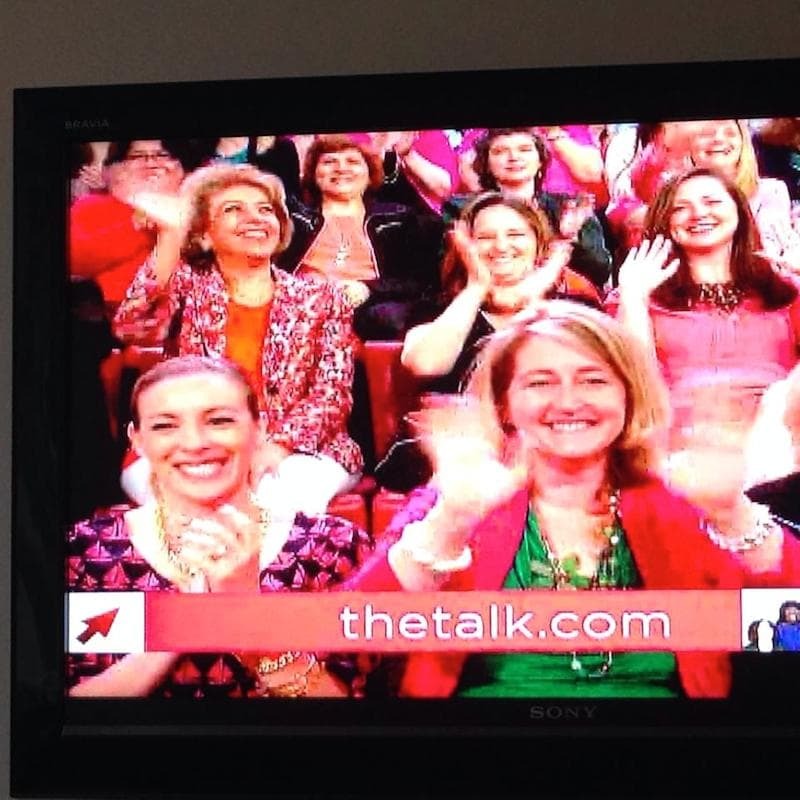 Ok, so ‘The Talk’ usually films on the West Coast. We all know that. But two times a year, they bring the whole crew over to NY and do a few tapings on the East side. 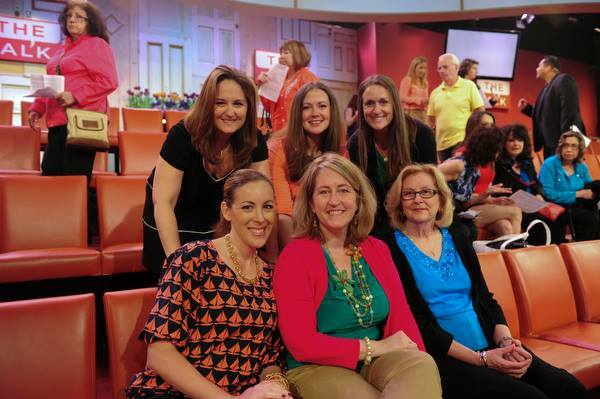 My good friend Beth Feldman was able to snag a few tickets and asked me to join her for a taping. She works with them on some level, so there was a surprise that she didn’t tell us about. During the taping, we got a shout out during the hour. 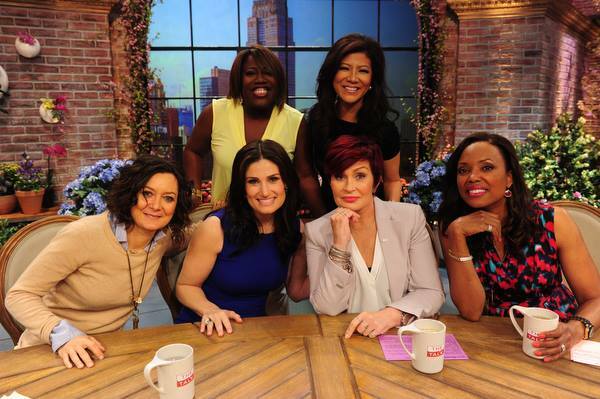 In the middle of one of her segments, Sharon Osbourne said that we had a handful of influential bloggers from the Tri-State area and then the cameras panned right to our faces. GET OUT. I wish I knew that was going to happen. I would have washed my HAIR! LOL!!! A ponytail? Really, Vera?! UGH! As if that wasn’t enough…guess who was the guest for the day. Again, we had no clue. Are you ready??? Adele Dazeem!! Oh wait… that’s not right. 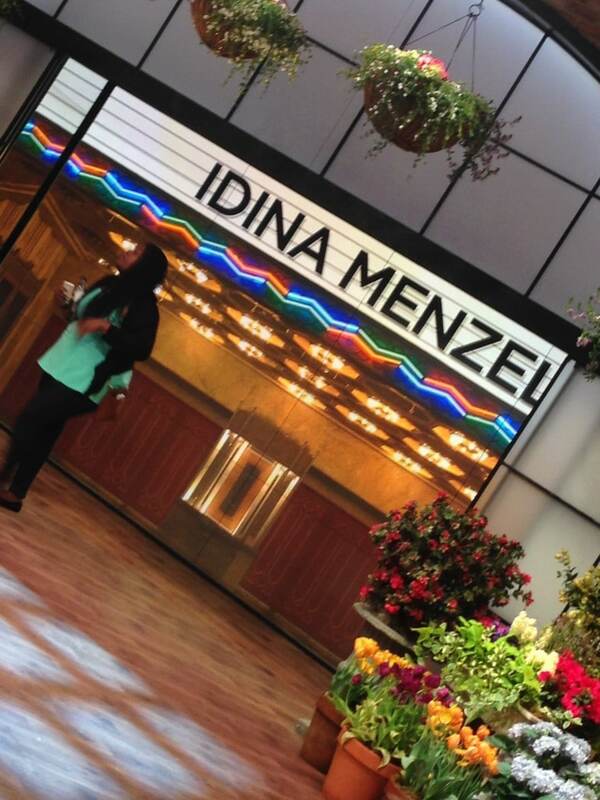 Idina Menzel! 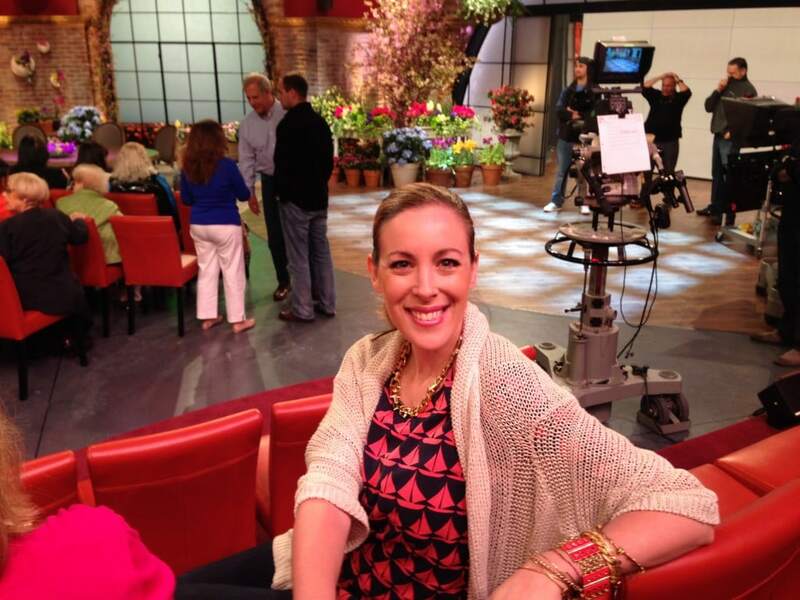 Did you watch the segment? I loved that the ladies asked Idina how she felt about that famous John Travolta mix up because honestly I was so curious to see how she felt the moment it happened. She said she was SHOCKED and then she knew she had to shake it off because she wanted to be PRESENT and in the moment when she sang ‘Let it Go’. PS I almost cried when she came out because my daughter loves her SO MUCH. I don’t know why I almost cried. Natalie wasn’t with me, but I just knew she would have loved the moment if she would have been. So, I guess I filled with the joy for her. 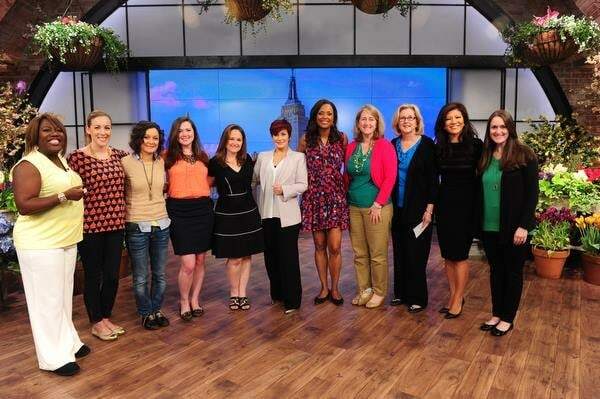 Once the show was over, my little group was able to get a photo with the hosts of ‘The Talk’. Such a treat!! Everyone was SO NICE -especially Sheryl Underwood. She came right up to me and started chatting away. I really loved that! I was part of the Summer Giveaway event which none of us knew. We took over all the prizes!! I’m talking suitcases, cameras, bathing suits, clothes and MORE. WE WERE DYING. WHAT AN INCREDIBLE DAY!